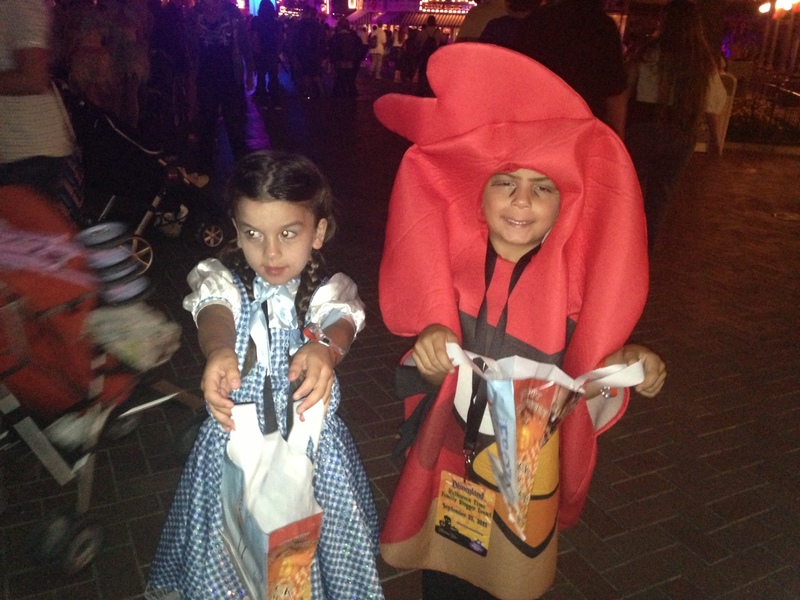 We hope everyone has a safe and fun Halloween. It’s a rare treat to actually have Halloween fall on a Saturday. We expect lots of kids in our neighborhood, how about you? This entry was posted in Halloween. A Day Out With Thomas the Tank Engine and Friends and Giveaway! Tickets are on sale for boarding times on the 7th, 8th, 11th, 14th and 15th of November. Train departure times fill up fast. So get your tickets now atwww.thomasperrisca.oerm.org Save on service charges by calling the museum directly. (951) 943-3020. Enjoy a wide range of fun activities perfect for children. There will be games, a petting zoo, bounce houses, coloring, live children’s music, sing-alongs and storytelling. There will also be Thomas & Friends temporary tattoos, Thomas & Friends train tables and building activities, videos and a Thomas gift store. It’s giveaway time! 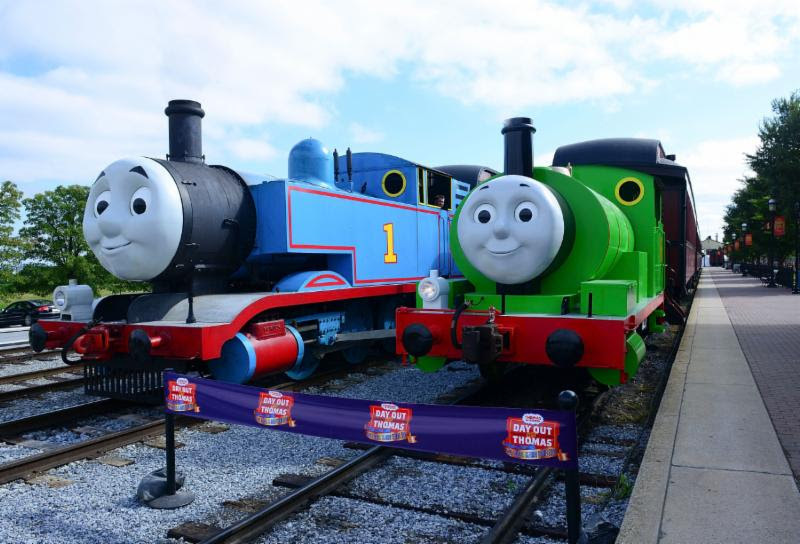 We’re giving away a family four pack of tickets to A Day Out With Thomas Train Ride. All you have to do is leave a comment letting me know who you would take and why. That’s it. Winner will be chosen at random. Giveaway ends on October 29th at 11:59 pm. Good luck! This entry was posted in Day out with Thomas and tagged Day out with Thomas, day out with Thomas Southern California, Orange Empire Railway Museum. Yes!! What a way to celebrate my 40th birthday. I lost 17 lbs, 1 jean size, and 11 inches on 8 weeks of @officialjennycraig ! It’s also the magic number I needed to be 100 lbs down!! I’ve lost 100 lbs since my highest weight last year and feel the healthiest I have in years! Happy 40th to me! #weightloss #100lbsdown Results not typical. Members following the program can expect to lose, on average 1-2 lbs per week. I received promotional consideration. Disclaimer * Results not typical. Members following our program can expect to lose, on average 1-2 lbs per week. I received promotional consideration. I was provided 8 weeks of the program and meals. However, all opinions are my very own and I had great success on the program! For the past 8 weeks I have had the opportunity to be on the Jenny Craig system. It has been a great experience and dare I say, life changing. I’ve learned so much about portion control and making wise choices. During the process, I also happened to lose 17 pounds! I learned so much during the experience. I learned how much my own body needs physical exercise and good nutrition. I learned the importance of taking my vitamins, and I also learned to be able to plan for special occasions, to ensure that I’m making the best food choices. I also learned that I need to move at least for 45 minutes a day to ensure weight loss. I’ve slowly fallen in love with running and can’t wait to what lies ahead for me in the future. 5k I’m coming for you! What I enjoyed the most about Jenny Craig was the variety of food options. I had dessert every single night and I loved it. Yes YOU, can eat decadent chocolate cheesecake and still lose weight. It’s a win-win!With meal choices like Fajitas, Fish and Chips, Stuffed Shells, and French Toast, how could anyone not fall in love with their food! I can’t thank Jenny Craig enough for helping me achieve my 100 pound goal. I’m back on track and can’t wait to see what else is in store! Go give Jenny a try. You will not regret it! This entry was posted in Jenny Craig and tagged #JennyCraigMoments.